If you or your significant other snores, it puts quite a strain on your sleep. For the snorer, it can potentially cause serious health problems including a stroke. A nasal dilator has the potential to treat snoring naturally. While the concept of a nasal dilator seems simple, it does work, but certain versions are more recommended than others. What Is a Nasal Dilator? A nasal dilator is a device you place across your nose. It consists of two layers of plastic. The ends of the dilator open the nose while you breathe. This particular snoring treatment is meant to improve your breathing without the use of a medication. Ultimately, certain factors such as size will play a role in determining the best nasal dilator for you. Certain brands have proven to last and work adequately, though. 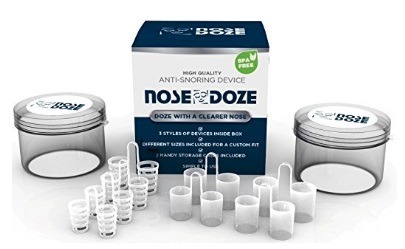 NoseDoze is available in small, medium, large, and extra-large, so you’re able to find one that fits you comfortably. The strips work to correct airflow insufficiency in order to reduce the prevalence of your snoring and enhance your quality of sleep. These have been scientifically proven to reduce and eliminate your snoring. They’re completely made from silicone. The strips are barely visible and won’t hinder your sleep. Since they’re reusable, you can save money. As a best nasal dilator contender, these strips last for a long time and withstand frequent washings. 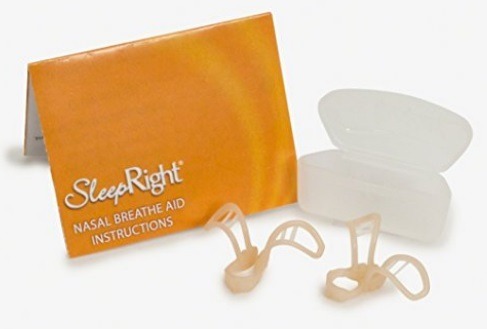 The SleepRight brand’s Breathe Aid is compatible with continuous positive airway pressure (CPAP) machines, which many individuals who snore require since sleep apnea and snoring are oftentimes related. This particular nasal dilator lasts as long as the company suggests as long as you take care of it and clean it each day. The Breathe Aid devices are relatively inexpensive when you consider other devices or solutions for snoring. Although many still require a CPAP, it’s hard to resist these because of the low price. They’re extremely transportable since they’re small enough to fit in a carry-on or purse when you travel. This particular brand is ideal for allergy sufferers. Unlike many brands that offer various sizes, they only come in one size, but it’s a one-size-fits-all concept. You might notice mild discomfort with them at first due to this design, but it tends to subside after a few days. 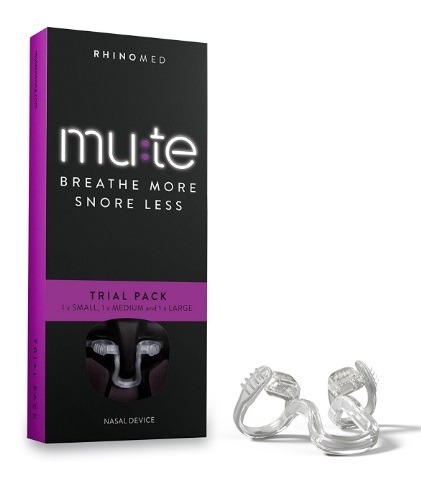 Mute works the same as other nasal dilators on the list. 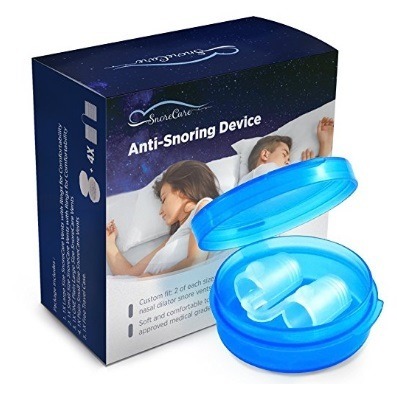 It ranks as the best nasal dilator because it works effectively and has various sizes, so a majority of individuals may find relief from their snoring. Rhinomed offers a trial pack, so you’re able to find the one that fits you best. Mute is lightweight and flexible. Not to mention, you may use it up to 10 times, possibly more if you take care of it properly. In comparison to nasal strips, this nasal dilator works about 38 percent better. The company touts about 75 percent of partners of patients notice less snoring and decrease in the volume of the snoring. Couples who participated in this study claimed Mute worked better than other nasal dilators they tried in the past. 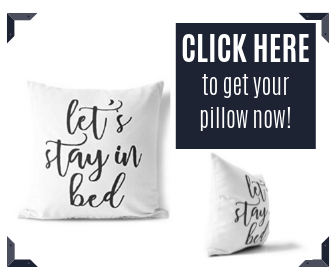 Rhinomed is a reliable brand for sleep products. They specialize in creating products for breathing. The company has over 60 medical patents for their breathing products, so it’s safe to say the company knows something about breathing. Their sister brand, Turbine, is another nasal dilator intended for high-intensity exercises like cycling. Snore Care’s Nose Vents are very similar to most nasal dilators, but they have a bit of a twist – ribbed texture and hollow tunnels. These devices consist of medical-grade silicon and remain discretely inside of the nostrils. These open the nostrils like other nasal dilators do. However, they also reduce the vibration of the soft palate, which makes them stand out as a leading competitor for the title of the best nasal dilator. Snore Care states their multifaceted approach reduces snoring more effectively than products that only open the nasal passageway. Just like other nasal dilators, Nose Vents come in multiple sizes – four to be exact – that allow you to find one that fits comfortably. The price of these devices, despite their unique appeal, are average priced. Using one does open your nose slightly. They help with issues like snoring, seasonal allergies, and sleep apnea. Nasal dilators are small. You can take them on trips with you because they easily fit into your purse or luggage. They’re much more portable than using a bulky device to help with your nighttime breathing problems. Not all nasal dilators are the same, so if you don’t research and purchase the best nasal dilator, you could find the strips are ineffective. For some, they’re not very comfortable and can interfere with falling asleep. It may take a few days or weeks to get used to them before you can fall asleep easily while wearing one.